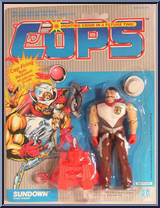 Subseries: Series 1 - C.O.P.S. Contribute pictures, update details or suggest corrections for Sundown. Write a review about Sundown.